Who remembers that famous day and year! Through every Nole village, town and farm”. While he departed by oar-boat for the opposite shore. As he scanned the dark night sky for the signal lights. The night skies near the tower of the Old North Church. Shaped in the V-like pattern of a Star-Trek Ship. Another light he saw with this same V-shape. While sparks struck out by his steed flying fearless and swift. While swarms of fireflies lighted his path. A message that shall echo for evermore! Through all history to the last. Like messengers from strange new changing worlds. And Noles are needed to spread the word! Dual Enrollment courses that are one-of-a-kind! More to come – Register now – See Ms. Lovett in Guidance Today! Written on April 19, 1860. The Seminole Newspaper is a student-run publication designed to intrigue, inform, and entertain the student body of Seminole High School. All stories are reviewed for accuracy and deemed the responsibility of the staff. The editorials published are the opinions of the writers and not necessarily the opinion of the staff or the administration of the school. Letters to the editor are welcomed. They may be submitted in on this site, emailed, or mailed to the school. All letters must be signed and names will be published unless specified in the letter. Letters may be edited to correct grammatical errors or to meet other restrictions. ILLUMINATI TEAM BECOMES DISTRICT CHAMPIONS! 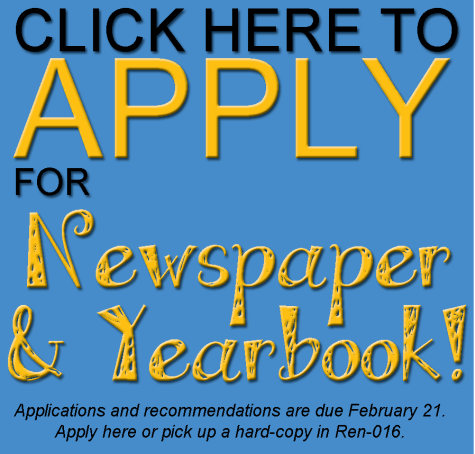 NEWSPAPER and YEARBOOK APPS ARE AVAILABLE!